Would you like to learn more about us and where we’ve been covered in the news? We’ve included a sampling of the stories on us below. And remember, if you would ever like to learn more about us, or just cannot find the story you are looking for, feel free to contact us at info@fidescousa.org. Launch of Fidesco USA– Story on our Launch, featured in the Huffington Post. Fidesco USA Now Sending American Volunteers to Serve– Story on our expansion efforts and on Cardinal Dolan, who generously hosted a fund raising gala for us in 2011. Off to the Missions-Ever wanted to know what makes a volunteer, well, a volunteer? This article in the Catholic Register explains a little bit about our four first volunteers and one of them in particular, Natalie Kean. 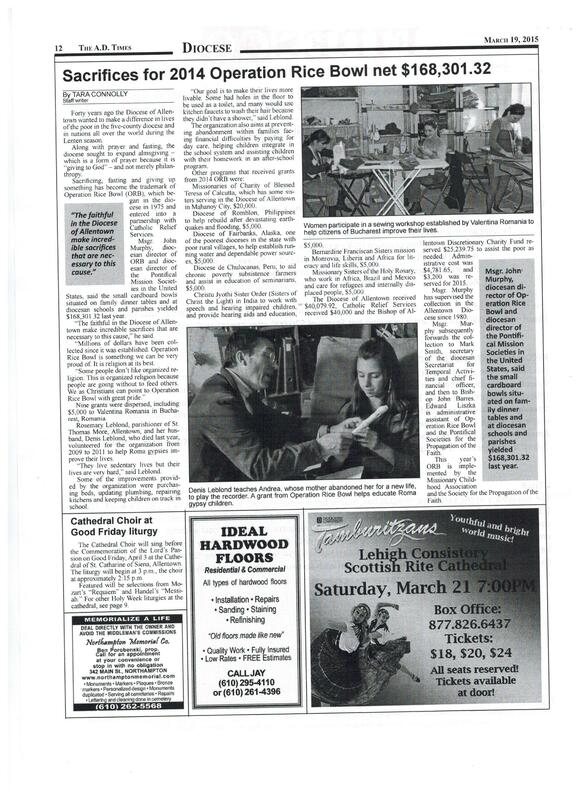 Article in A.D. Times about American volunteers on Fidesco mission in Romania. When we launched officially, we commissioned “The Light of Hope” video to explain a little bit more about what Fidesco did and what the organization planned to do. It was a lovely project and we hope you enjoy it. Every year we make a video with all of our volunteers around the world dancing to a particular song. 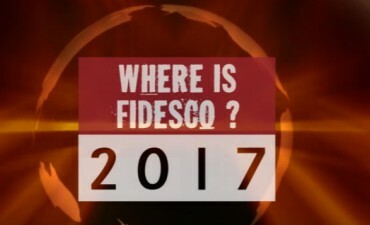 To see where we are, and where we were in the past years, see “Where is Fidesco?” videos. Want to see an example of what we do in the world? The Fidesco Globe Reporters bring you these videos of our mission work in Zambia, South Africa and Indonesia. Informative, colorful, and well paced. We’ve just launched the Fidesco Blog! The blog is a one stop source for volunteer and mission news, new photos, new updates, and other types of information.